1. Vina Robles Winery is hosting Chocolate Jubilee on Saturday, Feb. 9. Ideal for chocolate lovers, enjoy offerings from local chocolate vendors and local wineries while listening to live music by Kevin Graybill. Wine and port tastings, baked goods and more are included in this benefit for Big Brothers Big Sisters. 2. While not a winery, sometimes you just need a good laugh this time of year! Head to the Paso Robles Event Center on Feb. 9 for the 10th annual Valentine’s comedy, magic and live music event! BIG Laugh Live will include comedian Dennis Blair, improve genius Cash Levy, magician/comedian Justin Rivera and more. Drinks and desserts will be available for purchase, and there will be a red carpet! 3. Eberle Winery will host a Valentine’s Black Tie Dinner on Feb. 9. Enjoy a four-course meal, prepared by Executive Chef of Thomas Hill Organics, in the caves at Eberle. Dress up and enjoy a farm-to-table meal paired perfectly with local wines. 4. Le Vigne Winery is hosting a Valentine’s Brunch on Sunday, Feb. 10! Indulge in a brunch buffet from 11 a.m. to 1 p.m. Ticket includes brunch and one mimosa, with more mimosas and wines available to purchase. Make a reservation! 5. Park Street Grill is offering a special Valentine’s Day Dinner on Valentine’s Day, Feb. 14. The menu includes an array of soups, salads, appetizers, entrees and desserts. Enjoy shellfish bisque, fired goat cheese and arugula salad, maple leaf duck strudel, yellow fin tuna and more as examples. 6. Hunter Ranch Golf Course is back to offer their 6th Annual Valentine’s Supper Club Spectacular Dinner Dance on Feb. 14. Enjoy an evening of food, music and dancing with a candlelit five-course meal and live music by The Kings of Cool Band. It tends to sell out so buy tickets early! 7. If you don’t feel like driving into Paso Robles, Oak Shores Clubhouse is hosting a Wine Tasting event on Feb. 16! Taste wines from Dubost Winery. Cost is $10 for tastings, with fee waived if you buy a bottle. CP Farms will also be there with olive oil, lavender products and more, and Joe Kowalski will be there with artwork! ‘The Notebook’ will be shown later in the evening, indoors. Be sure to plan ahead and make reservations or purchase tickets to the event of your choice. If you’d like to be in your Lake Nacimiento dream home for Valentine’s Day, don’t hesitate to contact me! As your Oak Shores Realty agent, I am here to help you accomplish your home-buying and/or home-selling goals in the Lake Nacimiento real estate market. All you have to do is give me a call! Next PostZinfandel Weekend Less Than Month Away! 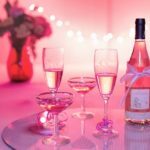 Where to Savor Valentine’s Day Treats in SLO County!